Pacesetter Long Tube Header Extension Pipes for 2008-2009 Pontiac G8 6.0: This item is designed to be used in conjunction with your Pacesetter long tube headers on your 2008-2009 Pontiac G8 6.0 (Part number 70-2259) to allow them to bolt right up to your existing exhaust system, eliminating your catalytic converters. 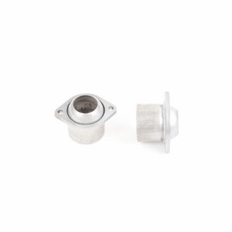 This item is for off road use only and is made specifically to go along with the Pacesetter Long Tube Headers. It is not designed to be compatible with any other brand of headers.